Linda sure captured a great moment while The Beatles were working on the White Album, didn't she? Looks at the smiles on their faces. 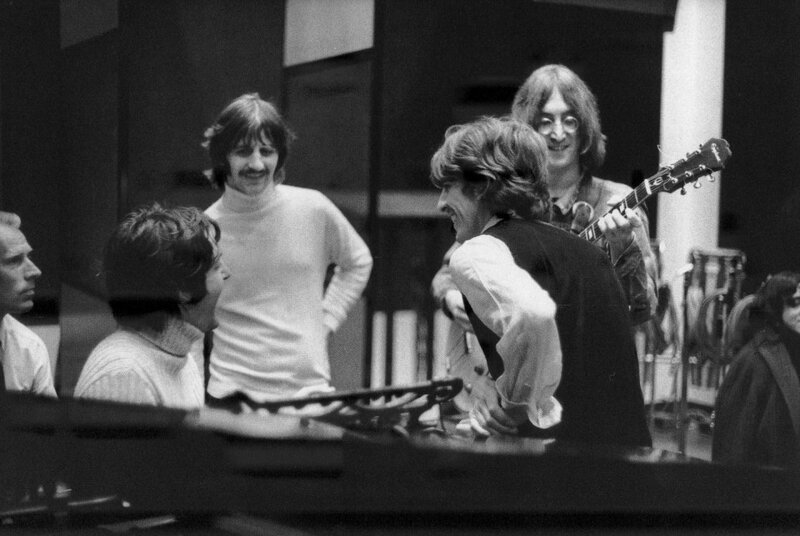 George Martin seems to be the only unhappy one in the group.